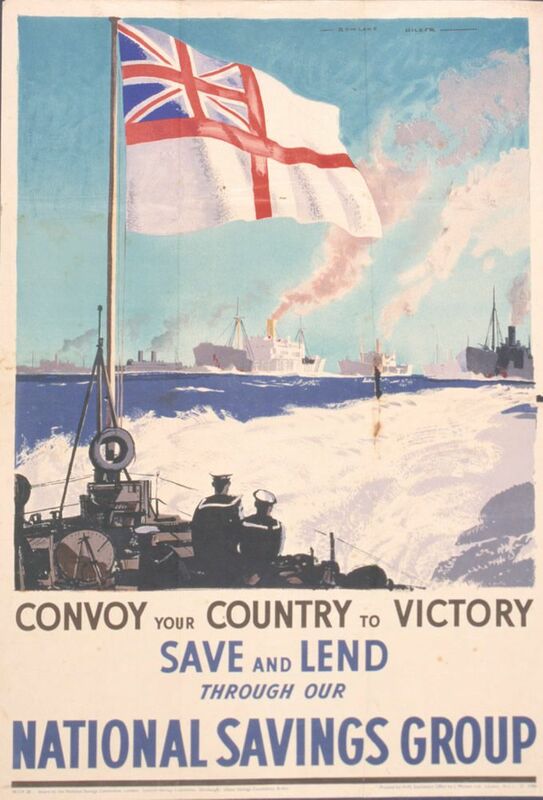 Propaganda poster issued by the National Savings Committee and dating from the Second World War featuring a colour reproduction of a work by Rowland Hilder showing the bridge of a British naval vessel in the left foreground engaged in convoy duties. A range of merchant shipping is depicted on the horizon. This Convoy Your Country to Victory Art Print is created using state of the art, industry leading Digital printers. The result - a stunning reproduction at an affordable price.